Summary: Microsoft does not provide any inbuilt function to break up Outlook PST file in Outlook 2019 / 2016 / 2013 / 2010 / 2007 into small pieces. Also, Microsoft does not arrange any free software to deal with it. So, what can be done in such a situation where your PST files are oversized? What should be done to avoid crashing of Outlook due to increased Outlook data file (.pst)? 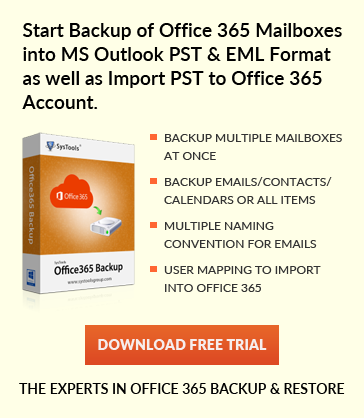 How to circumvent PST file because of enlarged mailboxes of Outlook 2013 / 2010? Does these questions arises in your mind also? Are you still confused what to do with your oversized / enlarged PST files? Just, break up Outlook PST file, and other below versions into smaller pieces. To make your vision clear, let us consider a user query why user want to Split Outlook PST file. User Query – My Outlook mailboxes consist of innumerable emails and other items contacts, calendars, etc increasing my Outlook 2016 size. With the advancement of my career, my complete mailbox is filling rapidly which leads to the crashing of my Outlook. Can anybody here suggest me vital way, so that I can break up Outlook PST file specifically. My data is very crucial, so I cannot delete any of the emails. Break up Outlook PST file is not a big issue now. You have got some manual as well as automated solution. Users can go for any of the solution according to their requirement. But it is highly recommended to go for automated approaches as they are more reliable and beneficial.